honey & jam | recipes + photos: apple turnovers. 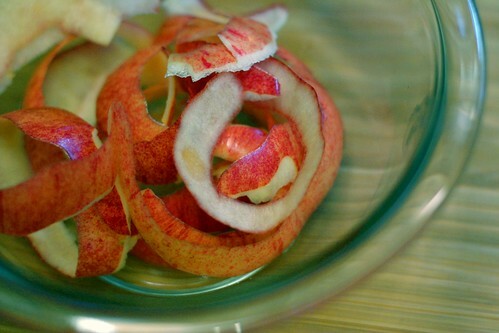 I love apples. I love apple pie, apple bread, apple tarts. But I've never made Apple Turnovers before. I'm a big believer in that puff pastry makes life better. That flakey buttery goodness cures all that ails you. I've never gotten up the courage to make my own (maybe soon! ), but I think pepperidge farm does a dang nice job. Anyway, here's the recipe I used. I just sort of made up the filling part. On a lightly floured surface, Roll out pastry dough into a rectangle, until about 1/8 inch thick. Using a pastry cutter or pizza cutter cut into 4 squares. Place squares on a baking sheet lined with parchment, cover with foil, chill in fridge until firm, about 1 hour. Meanwhile, prepare fruit filling. 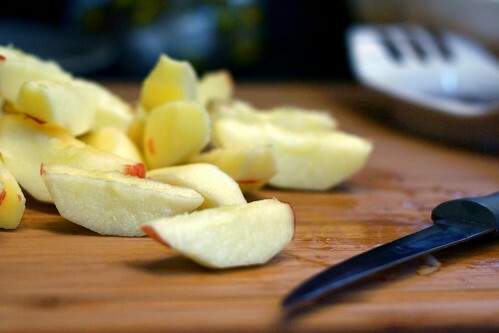 For filling, chop apples into a 1/2 inch dice. In a medium bowl, combine the apples with the cornstarch, cinnamon and sugar. In a small bowl, whisk together egg yolk and cream, set aside. Divide the filling evenly between the squares, placing it in the center. Brush the edges with egg wash. Fold the dough diagonally over filling to form a triangle, and press to seal. Place filled turnovers on a baking sheet, cover with plastic wrap, and freeze until firm, 20-30 minutes. Preheat the over to 375. Brush tops of turnovers with egg wash, being careful not to let it drip over the edges, as this will prevent even puffing. Sprinkle generously with sugar and bake, rotating sheet halfway through until turnovers are puffed and deep golden, 30-35 minutes. Immediately transfer turnovers to a wire rack to cool. 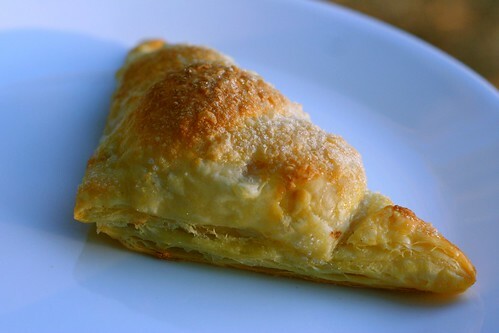 I LOVE apple turnovers, I would always get one when my mom when we would go to the bakery! yummy! Wow, looks lovely and tempting!! These look tantalizingly flaky and delicious. Yum! I'm glad someone else also enjoys taking the lazy route when it comes to puff pastry. I always keep a box in the freezer! Can I just say, I adore your photos! Lovely, lovely. I do think it depends in so many things..